We missed the last week, but return with fantastical new stuff this time. Let’s get right to it! Felix started work on the story and added a few more scenes to Rookie Harbor. Finally the game inside the game will be explained. Since party members are now a part of CrossCode, Stefan made a new menu for it (With Felix creating some of the assets). Can you guess the inspiration? He also finally implemented the Analyze menu which was designed by Felix. Get a quick look at your foe or inspect the environment. Here’s another look at the analyze menu with added overlay. Stones have feeling to, right? But wait there is more, the new enemy menu! Once you defeated a foe you can find an entry for it in this menu. And finally we listend to your feedback and Felix did and amazing job implementing skipable tutorials! This is it for this week! Sorry again for the delay it won’t (maybe) happen again. The rest of the new features are fantastic as well! So! Are you telling me there Shizuka will interact with Lea?!?! I and most of player imo thought Lea *is* Shizuka, rebboted, with amnesia and inprisoned somewhere in the CrossCode facilities! Clarifications pleeeease! This is really just for testing! There where now Emilie graphics when I added this, so we had Emilie take the Lea basic-config. I just wanted to do a really quick comment here. 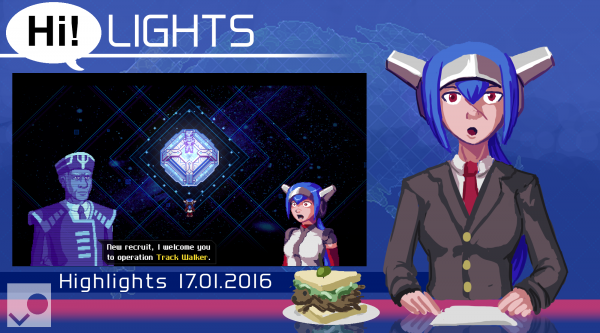 I love how CrossCode is coming along. I really hope/wish that prominent YouTubers like TotalBiscuit were willing to look at this game but it seems they’re content with other games. 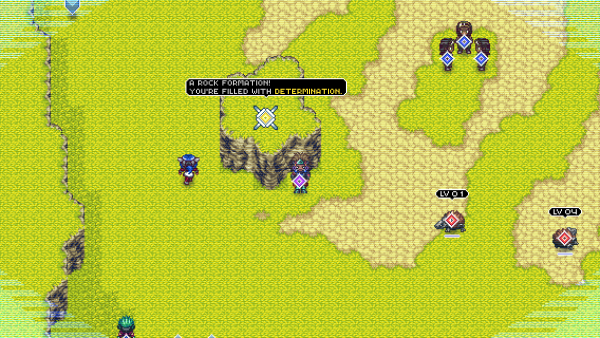 Once CrossCode is v1.0 (or maybe even v1.5 because bugfixes) then I’ll do a purchase of it. I’d prefer that it would be made available in a non-Steam version in addition to the Steam version. And I do feel that Humble Bundle might be a great way to get the word out about the game after the post-release rush. I think the most killer aspect of this game is the combination of good platforming, good combat, and good story. I feel like in most games you don’t get a balanced trifecta like that. “Level grinding” in this doesn’t feel like it when can mix it up and go box hunting / platforming. And when I get sick of trying to figure out how to get one, I can run over and take out my frustration in the hedgehog den. It also doesn’t feel like grinding because the battle controls are just so much fun. The attacks are awesome. I don’t think I’ve ever seen such a crazy amount of combat options packed into such a simple, intuitive UI before. Amazing work team.